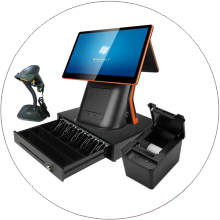 Abacus Pro suite is a group of different applications designed to automate POS process both in retail and wholesale. All documents are posted automatically. Article information is entered by barcode or regular keyboard. Abacus allows complete article information to be entered during price calculation process which allows a direct real-time communication with fiscal cash register. The following documents and document books are implemented: TK, KEPU, KIR, KPR, statements, partner and stock cards, PDV forms and many other necessary auxiliary documents. In accordance with latest regulations, Abacus can work with the following fiscal printers: Galeb, Kolibri, Sharp, Comtrade, Partner. There are options to run Abacus on stand-alone computer but also in a computer network environment. It is possible to order Abacus Pro suite in separate modules: wholesale, retail, finance and accounting, assets and manufacturing. It might be ordered with or without support for fiscal devices. Program My Accountman is designed for those users who need to fast and easy generate an invoice, print a fiscal bill or record a debit or credit of a customer. Article information is entered by barcode or regular keyboard. My Accountman allows complete article information to be entered during price calculation process which allows a direct real-time communication with fiscal cash register. In accordance with latest regulations, My Accountman can work with the following fiscal printers: Galeb, Kolibri, Sharp, Comtrade, Partner. There are options to run My Accountman on stand-alone computer but also in a computer network environment. Shaker app is designed for fast and easy tracking of daily activity and revenue in catering industry (daily revenue and performance book). 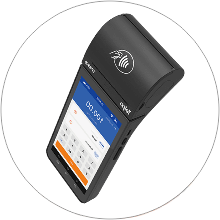 It supports work in multiple facilities and it can track performance of multiple waiters in each of the facilities. 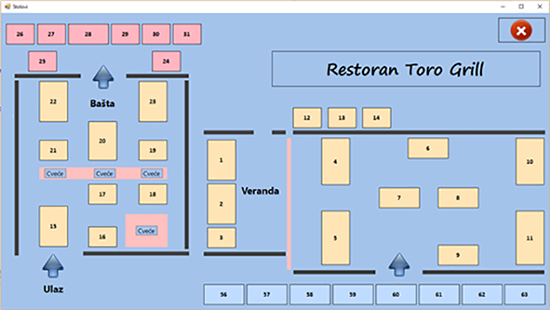 It can also track performance and revenue of a restaurant’s kitchen and bar separately, to generate stockpile reports and it has many other features. It supports various different fiscal cash registers. There are options to run Shaker on stand-alone computer but also in a computer network environment. 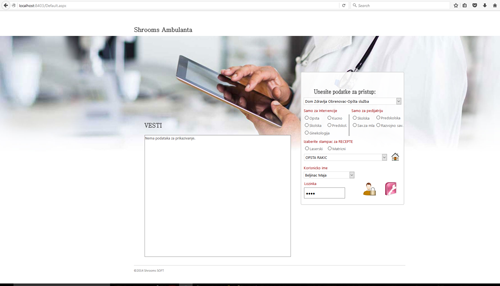 Program suite Shrooms Ambulanta is designed for primary health care, at it complies with all current health care laws in Republic of Serbia. It is also in compatible with Serbian Health ministry requirements. This suite allows keeping track of electronic patient health record, review of patient health history, review of all medications used by patient, specialist visits, medical leave and billing. It consists of the following modules: electronic record, preventive visits/immunization and administration (RIL content, billing and invoice generation, quality of doctor’s work, statistics, SI6 form and many other statistic reports regarding any particular department, team or the facility as a whole). This is a program designed for payroll processing and it fully complies with all latest labor laws and regulations. It can be used for virtually unlimited number of employees, employed in production, administration or both. All data is entered from the reports. Program automatically does all necessary calculations like converting hours to points or coefficients which are needed for further processing. It is possible to have one or more payroll cycles during any month. All payments are connected to avoid tax calculation issues. Payroll processing is possible by using both gross and net base values. It automatically takes care about all deductions until they expire. Printing of paystubs, pay lists, pay overviews, deductions, taxes and many other reports is fully supported. All checks are automatically prepared for printing. 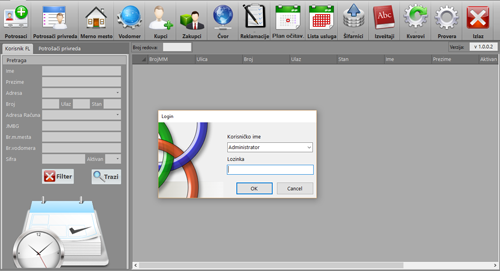 This software suite is used by driving schools to help them in school management tasks. The software is designed to keep track of students, their documents and to warn them if any of the documents is to expire. It also keeps track of financial situation of every student, it records every payment and calculates amount owed. It has record of all vehicles, their state and service. It takes care of employee records and exam scheduling. Once exam is scheduled the student is automatically registered for the exam. Search is made very easy and lot of different reports and statements are available to print. It also prints all necessary checks. Fast and efficient generation of estimates. Getting temporary and final certificates of payment. Deposit and advance payment log book. 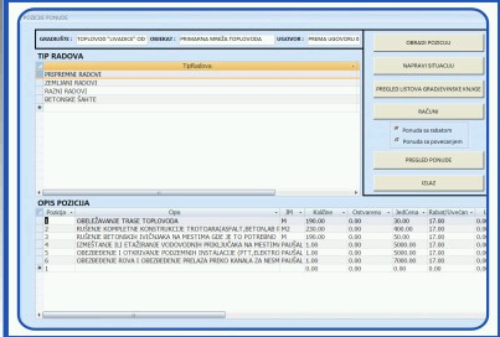 Generation of invoices based on temporary and final certificates. The way this application works is that the estimates are entered first, together with negotiated prices and quantities, and then after actual competition the real quantities are entered. 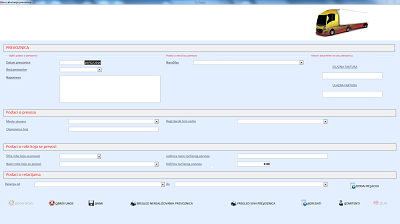 Once this phase is completed certificates of payment and invoices are automatically generated. Application suit Mehanic is fully tailored for needs and problems of businesses and individuals working in different service and maintenance industries (car mechanics, TV repair shops…). This application will keep track of all sold parts and their associated warranties. Some of the advantages this application provides are fast and easy record and monitoring of unpaid bills, stockpile review, complete article history, complete activity schedule. This application suit is design for tracking patients in veterinary clinics. It could be used for: Complete patient tracking (name, race, age, hair color, gender, owner info…), tracking of animal microchip implants, passport issuing, medical record, vaccination record. 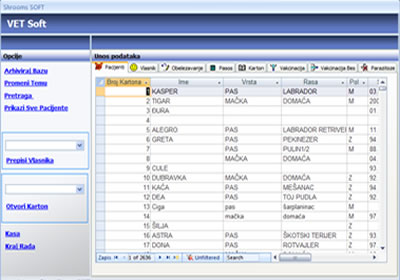 In accordance with new Serbian regulations this application could be connected with fiscal printer which makes its use much easier. 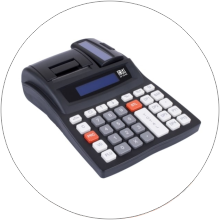 WITH EVERY PURCHASE OF FISCAL CASH REGISTER, THIS APPLICATION SUIT COMES FREE OF CARGE. This software product is designed to help run a Spa-Wellness center, and it has modules used to help with management tasks inside the center, financial operations, and scheduling. All those activities are accompanied with appropriate reports. There is also a subsystem for text message and email warnings. This software has support for many different fiscal registers and fiscal printers. It is a software designed for water utility companies, to help them keep track of water usage and other specialized services they provide. It consists from two modules, a technical and financial. Technical module has different parts used to: create meter reading plan, remote meter reading, user entry, metering point entry, complains, failures, PDA device support and many different reports. Financial module has interest calculation and discounts, waring ticket generation, collections, canceling service and debt reprogram. The module can automatically import all payments using bank and postal service documents. All those parameters are used at the end of each month to generate an end month general report. 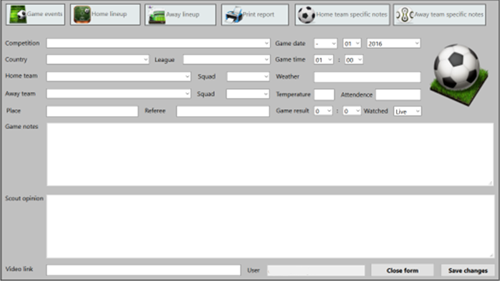 This is a software suite designed for agencies and coaches that allows them to monitor individual and team effectiveness during soccer games, which gives them ability to track development during some desired period of time. It has a module designed to scout the whole game or just an individual at a game. All the data is processed at the server side and great number of different reports is generated. It is a software designed with motels and hotels in mind. It comprises of modules used to keep track of reservations and real-time occupancy level monitoring. It could be connected with a mini-bar and it can also be connected with different types of fiscal cash registers and printers. Great advantage of this software suite is its ability to work together with the restaurant in order to track all-inclusive options. All those operations are accompanied with corresponding reports: guest report, tax report, occupancy level report. 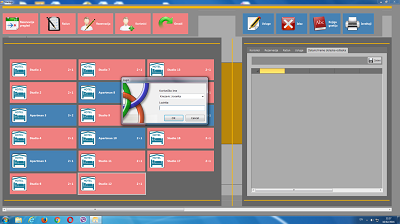 This Software suite is designed for transportation industry. It is an excellent choice for companies that operate their own fleet of vehicles, but also for those that offer transportation services to the market. The suite is capable to keep precise record of all partner companies and their realization, which as a result leads to automated billing. Transport PRO maintains the following books and documents: inputs, transported materials and liquids, customers, suppliers. The system is fully automated and it has great number of valuable reports needed by transport company. Shrooms Soft provides modular solutions, which are easy to use and upgrade, according to your requirements.